Washington is doing everything possible to kill off any possibilities of diplomacy on the Korean nuclear problem, says Gregory Elich, from the Korea Policy Institute. The US UN envoy acts like a bull in a china shop, adds Daniel McAdams of the Ron Paul Institute. The US Ambassador to the United Nations Nikki Haley has called for the complete isolation of North Korea, including cutting all trade links. She was speaking at an emergency Security Council session, following Pyongyang’s latest ballistic missile test. Haley said North Korea is pushing the world closer to war. RT asked Gregory Elich, Advisory Board member at the Korea Policy Institute whether the US diplomat has a point. Gregory Elich: It is not North Korea that is pushing the world closer to war, I think the Trump administration is doing so. Going back, Joseph Yun, who is US Special Representative for North Korea Policy, told a meeting at the Council on Foreign Relations that if North Korea refrained from nuclear and missile testing for 60 days, the US would engage in direct dialogue with North Korea. North Korea did better than that – they went two and a half months without doing any tests whatsoever. And what kind of reward did they get? The Trump administration sent B-1 bombers over South Korea practicing the bombing of North Korea. The Trump administration sent three aircraft carriers off the shore of the Korean Peninsula to practice bombing over North Korea. Then Trump designated North Korea as a state-sponsor of terrorism. The Trump administration is doing absolutely everything possible to kill off any possibilities of diplomacy. I think the North Koreans got fed up with this one-sided approach. So they went back to fast-track development of their missile program, which they see as a defensive measure against the threats that they are getting from the Trump administration. RT:Nikki Haley called for all trade with North Korea to be shut down. Most of its trade is with China. Do you think it is a hint for Beijing to take some specific action against the North Koreans? GE: I think it is more than a hint. The discussions between US officials and Chinese officials – every time there is heavy duty pressure on the Chinese officials to bend to the US demands to basically cut off all trade with North Korea. I don’t think that the Chinese want to do that because it would have disastrous humanitarian results, there’ll be a humanitarian crisis. Already the sanctions are so severe that they threaten a severe economic impact on the people of North Korea. Daniel McAdams, executive director at Ron Paul Institute, says that Haley is behaving more like a “bull in a china shop” than a diplomat. RT:What do you make of Nikki Haley's remarks on North Korea, and how could it affect this standoff? 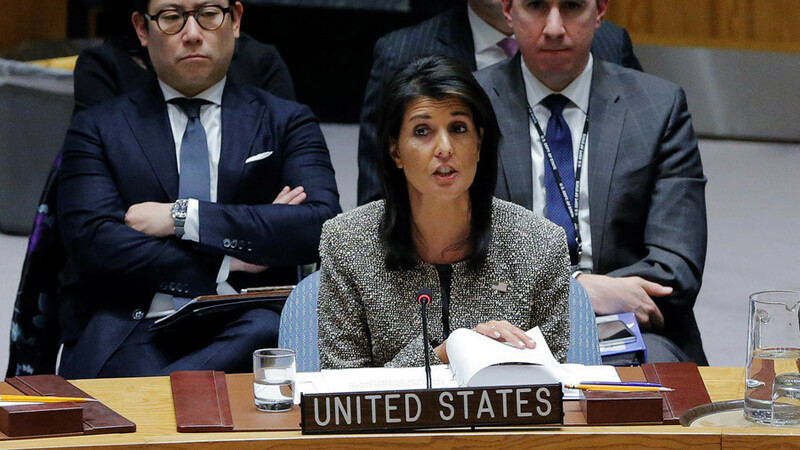 Daniel McAdams: As usual, Haley is not a diplomat, she is a bull in a china shop, so to speak. She is baring all the neocon talking points at the UN. The idea of kicking North Korea out of the UN. The UN is a forum for diplomacy; it was designed to help avoid war. The idea of kicking them out of that forum just shows what her real agenda is. It is the same agenda that we heard from Lindsey Graham is a matter of fact word for word: if war happens, it’ll be North Korea’s fault. If war happens, it would be that the US has decided to attack North Korea. 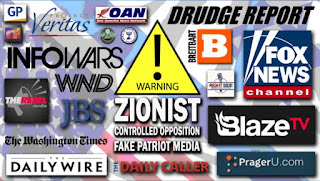 Frankly, I don’t think that is going to happen, but they are trying to ramp it up to the very closest point to war. That is the problem because it could lead to many mistakes. RT:What do you think Kim Jong-un will be thinking, listening to this latest threat from the US? DM: Of course the problem is always misinterpretation. Both leaders are speaking in code – they are calling each other names, they are not at the table talking. The real problem is misunderstanding. I think the North Korea’s leader Kim is playing a very rational game. He is trying to establish the fact that he has a sufficient deterrent to keep South Korea, the US, and Japan from attacking him. That is a very rational thing. That is what countries do. It doesn’t mean you endorse these policies. But the idea that he is behaving like a madman is absolutely not true. 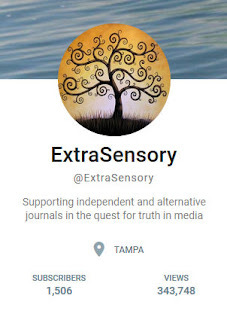 ExtraSensory.News doesn't have ads. Why? Because Google won't allow it. Other alternative sites are plastered with them. We do not accept funding from big corporations or Government controlled entities. In order to survive, we need your help. You can support this website by subscribing.